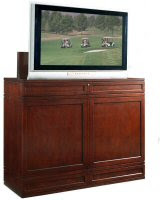 A Slice of Life: Any plasma TV owners here? Any plasma TV owners here? Owning my own Plasma TV is I guess very far from becoming a reality. Actually I don’t have it at my Wish List if you want to ask. But for some household owners and appliance buff owning one of it this Christmas is very important. Sis Joy bought one I think a year ago and her husband even bought one of those plasma tv lifts where they put it on top like the one on the photo. This is also a neat way to keep the TV away from their 2 small kids who were fond of pushing all the buttons of their stereo and TV sets. Just in case you will buy a Plasma TV, would you care to share the photo of it? have a wonderful day, ate Jen! I to own a plasma here. And i would advise you not to get one if you have kids. I don't have kids but my cousin does. And his kids have ruined my plasma, i have had to buy a new one since then.